Godfrey goes a bit off-target with some unnecessarily brutal and gory scenes in the vein of Bob Guccione’s Caligula toward the story’s end but only for a brief chapter. As a graduate with one of my degrees focused in Ancient Roman History, I was pleased the look at Pompeii and Roman society was well-researched, with enough historical facts to make the characters and setting believable without bogging down the narrative. The story could use more of Nick and company encountering culture clashes with the Pompeiians and been edited down a tad, but these are minor quibbles. New Pompeii is a fun read. 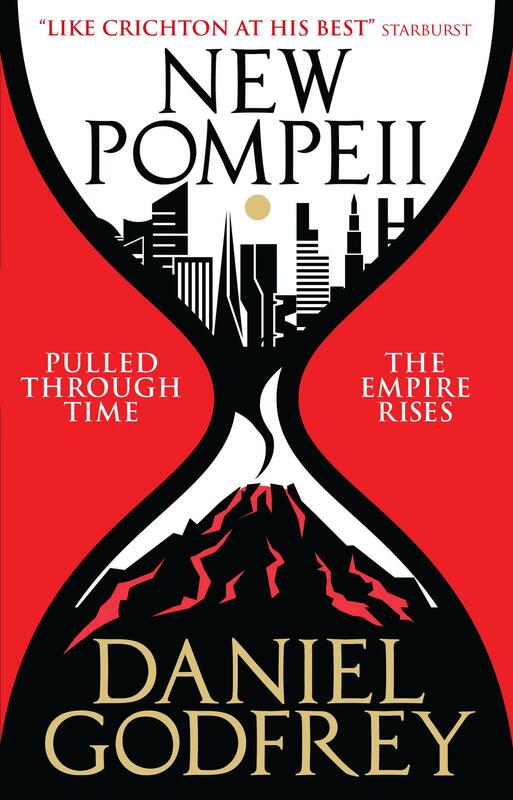 So set up your triclinium and pick up a copy of Daniel Godfrey’s new novel New Pompeii now from Amazon.com here. Its sequel, Empire of Time, is slated for release in June 2017. « First look–He’s quirky, he’s ruthless, he’s… The Accountant?